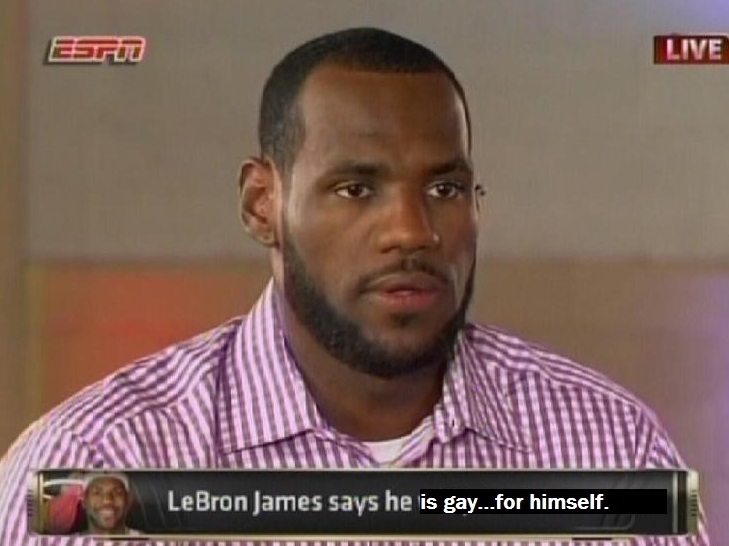 Indianapolis, IN—In what some are calling a sudden, poorly-timed but not altogether shocking announcement, basketball star LeBron James has come out of the closet…..sort of. He has officially announced, on live TV, that he is gay…for LeBron James. What prompted this sudden announcement is baffling to not only the Observer but to the entire basketball community. The spotlight couldn’t shine on James any harder than it will this Friday when the Heat attempt to close out the series at home against Indiana. Now, on top of it all, the Miami media, fans as well as his Heat teammates have to deal with a bellowing narcissist.